Former Motorhomes Caravans & Destinations editor Jill Malcolm pauses in Tokoroa, where she visits the town’s “talking poles”. 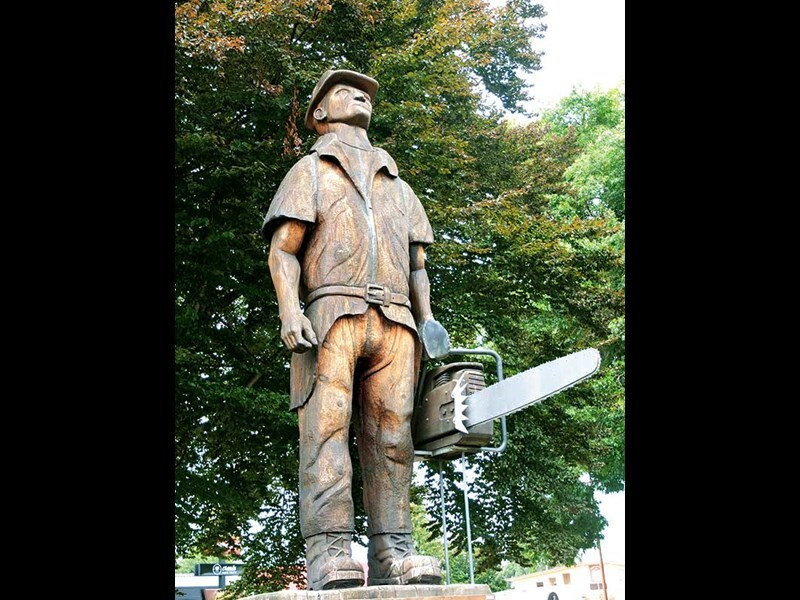 The two things everybody knows about Tokoroa is that it’s a timber town and that every now and then is its assailed by a rather sickly odour that issues from the Kinleith Pulp and Paper Mill a short distance away. What few people know is that if they take the time to look around, they are in for a surprise. On my last trip, I intended to drive through without pause as usual but because I was tired and in need of refreshment I pulled up in the town centre instead. A polite and friendly man directed me to Sweet Rose Cafe. In this comfortable little place, the food was tasty and the coffee hot but what really sparked my interest was the memorabilia from the old days of the timber industry that was strewn about the rooms. A local woman saw my interest. "Have you seen the talking poles?" she asked. "They’re all over town." That’s why the next 90 minutes saw me footing it around Tokoroa scoping out some of the 45 carved poles that are planted at various points around the town. 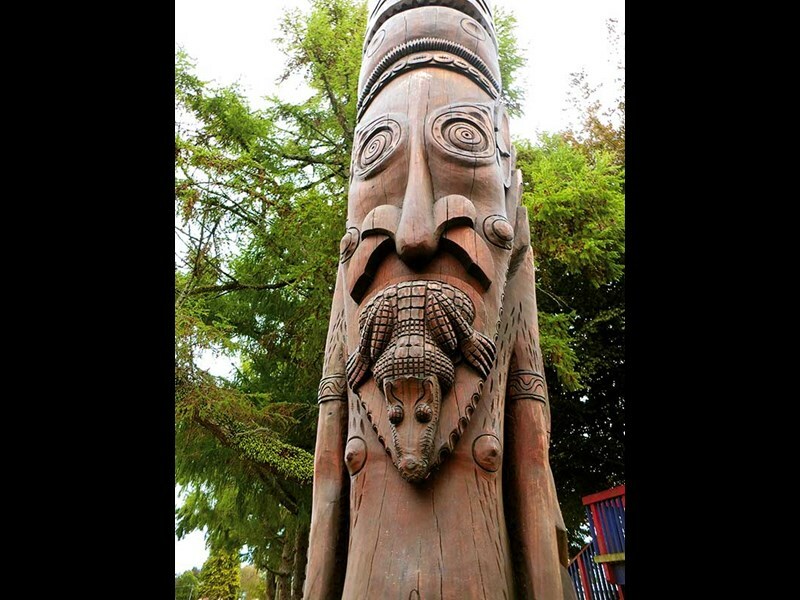 The talking poles are fascinating, mostly carved from timber by New Zealand sculptors but also from artists from Canada, New Guinea and the Pacific Islands. A pamphlet informed me that they refer to Tokoroa’s history. I found around 17 of the poles, which wasn’t even half of them. Some were perplexing, some rather crudely carved and others really terrific. 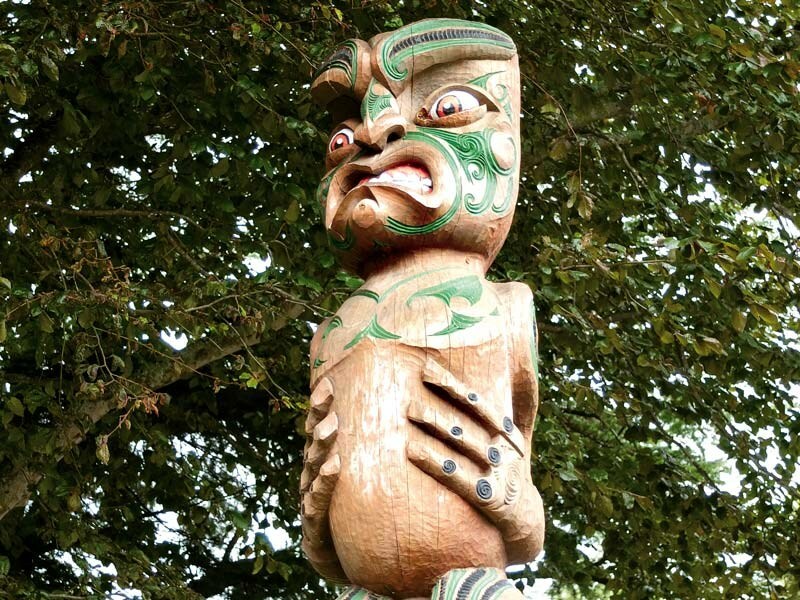 I particularly liked the long-haired woman carved from a totara log who stands on one leg in the foyer of the council buildings, and the pole of peaceful looking faces carved from matai that represents the ethnic mix of Tokoroa’s citizens. 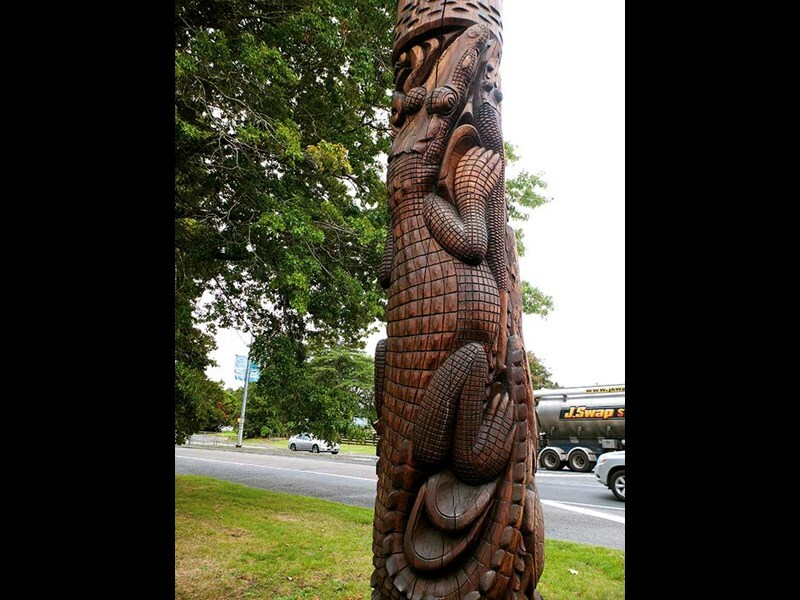 Then there were the two tribal poles carved by New Guinean artists: the fearsome looking effigy of the Maori ancestor, Raukawa, on an elegant Pacific pole by Tui Hobson; and on the median strip on SH1, the realistic Pine Man depicting a stoic looking forestry worker. To be honest the poles didn’t explain much history to me. Instead they talked to me of a community that is coming to understand itself and is taking pride in where it’s heading. And with that thought floating through my head, I drove on.